AJ Hudsons in Lakeview plays Chicago Fire games as well as European soccer, and opens early in order to show live coverage. This is currently the official home bar of RM Pena Chicago, as well as Chelsea Chicago. Bar 63 in Rodgers park is an official FC Barcelona bar. The Corrib Irish Pub in Jefferson Park is a Galway-inspired pub that plays soccer on its 4 TVs over the bar, including Barkley's Premiership football. The America Outlaws are a group of soccer lovers who meet up to watch national games, usually at Timothy O'Toole's in Streeterville. AJ Hudson's organizes buses to transport fans to local games, including the Chicago Red Stars. Cleo's in Ukranian Village shows all Chicago Fire games. If you're looking to support your local Chicago Fire team, Kroll's South Loop organizes a bus to get you to every game with no hands. These bars in particular are sure to show Champions league games. Arrive early at Fado in River North, where you can sip on craft beer and snack on Irish pub fare. The Trophy Room is also an option in River North. AJ Hudsons is a Lakeview soccer bar where Real Madrid fans will be cheering. Lakeview fans can also catch the action at Schoolyard Tavern. Ukranian Village fans can watch the action live at Cleo's. Keep up with the Cleo's Facebook page for updates. The Atlantic Bar in Lincoln Square is offering party packages for $30 that gets you an open bar and half time buffet. While Bar63 is an official FC Barcelona bar in Rogers Park, you can count on live coverage of the final on Saturday. Richmond's in Humboldt Park/West Town will show live UEFA coverage. 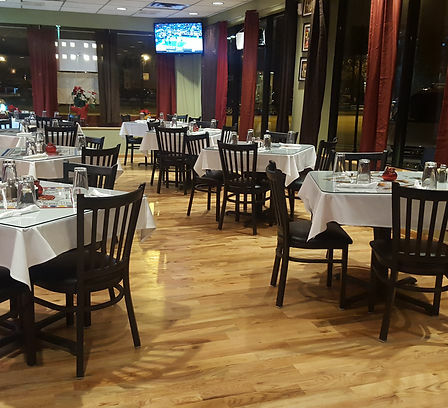 Bryanna's Sabor Guatemala & Salvadoran Cuisine in West Rogers Park is a BYOB watching option. The Trophy Room is also an option in River North.